The kind of shoes you wear can make or break the impression that you create. Imagine wearing a super-classy formal attire for a black-tie affair with polished formal shoes shining brightly as you walk over the red carpet of the venue. Sounds great, doesn’t it? No matter how much we push the footwear section at the bottom of our priority list, it is hard to ignore that shoes actually contribute a great deal in lifting our overall look. 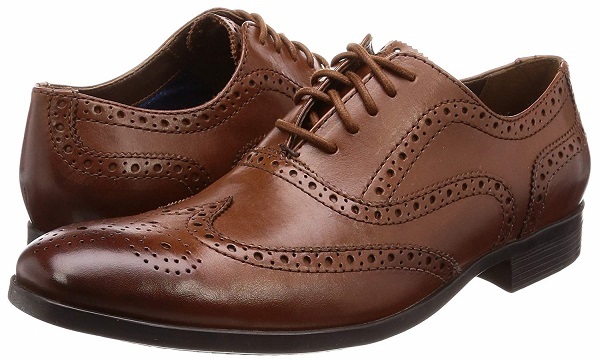 Find your perfect pair of leather shoes from the top 10 leather shoe brands in India here. Headquartered in Michigan, Hush Puppies is a popular division of Wolverine World Wide. With the market in over 120 countries, the brand manufactures the most comfortable yet elegant leather shoes. Hush Puppies footwear are fondly worn with sharp business suits and look effortlessly stylish and professional on business events and formal occasions. ‘More comfortable than feet’ is the tagline of this popular brand. A division of the Aditya Birla Group, Louis Phillipe is one of the largest apparels and footwear brands in India. The Louis Phillipe range of leather shoes has some outstanding designs to help you take your fashion quotient up a notch. Taking the market by storm, Louis Phillipe branded leather shoes are made from top-quality leather and have sturdy soles that enable you to carry that formal look confidently. Established in the year 1992, Woodland is defined by the spirit of adventure. The brand offers an extensive line of footwear, performance apparel, and outdoor gear. 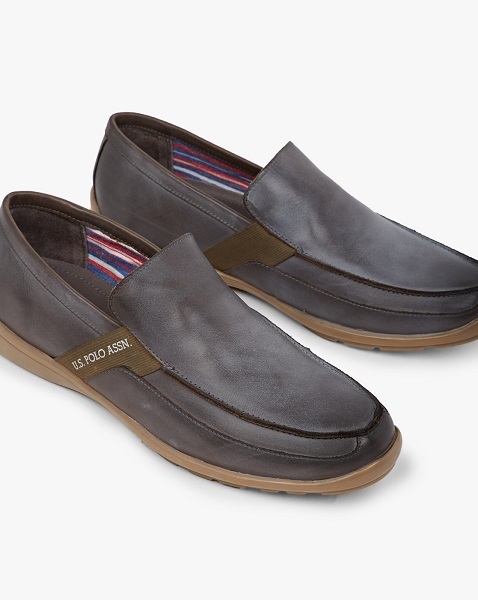 Comfortable and snug, a Woodland leather shoe is a must-have in every rugged man’s wardrobe. Woodland footwear is perfectly suited for outdoor wear and can be worn on semi-formal occasions too. Situated in London, Lee Cooper has made its products fit in various market types and pocket sizes. 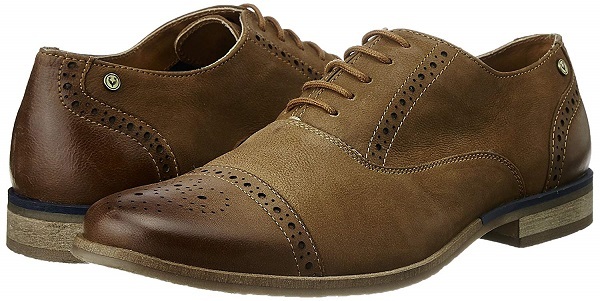 The brand offers classy leather shoes with intricate detailing, certain to grab your attention. 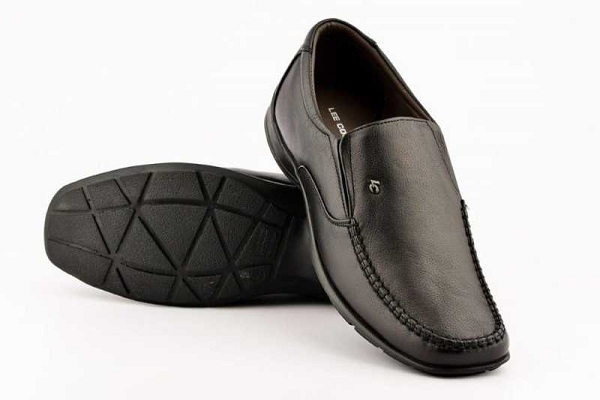 A perfect blend of state-of-art features and stringent quality standards, Lee Cooper leather shoes are an epitome of comfort and satiate the demands of the customers in the best possible way. Well known for its unparalleled comfort, International styles and finesse, Red Tape is a high-end shoe brand committed to providing the highest-quality products to the customers. Red Tape has a huge variety of leather shoes for men, especially known for their designs and durability. For the dapper man that you are, choose to adorn the comfortable, tough leather shoes of this brand and be the style icon of your group. With over 1000 branded stores and franchises globally, Clarks is a leading footwear brand founded in the year 1825. Clarks is famed for its Desert Boots that are made from calf suede leather. High on style and functionality, Clarks leather shoes are the perfect choices when looking for a value-for-money proposition. One of the fastest growing fashion brands, Allen Solly is a premium lifestyle player in the retail sector. 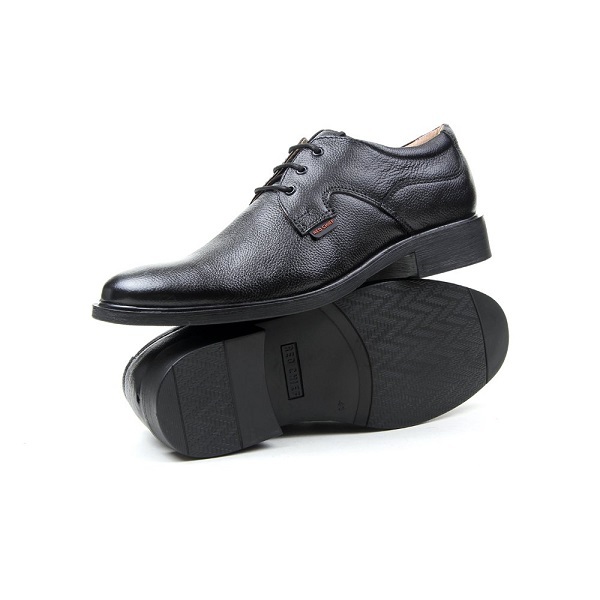 Modern and trendy, Allen Solly leather shoes are equipped with top quality soles for good traction and are well-designed for walking on rough surfaces as well. The shoes are made from the finest quality leather and are well-suited for your black-tie affairs. Serving worldwide, U.S. Polo Assn. is a subsidiary of the United States Polo Association. 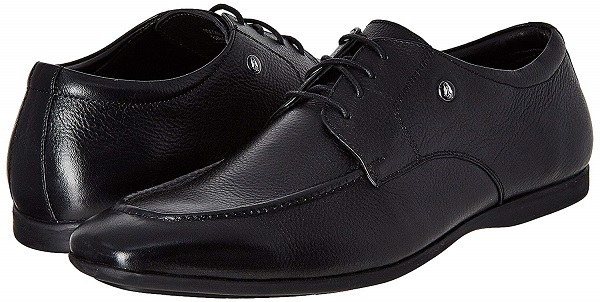 Due to the classy shoe designs that it offers, the leather shoe line of U.S. Polo depicts your personality and status in the best possible manner. A youth-oriented shoe brand, it is a pioneer in the leather shoes segment and has created an ardent customer base in a short span of time. The list of the top leather shoe brands will always be incomplete without the inclusion of Red Chief. A part of Leayan Global Pvt. Ltd, Red Chief has made its mark all over the world with its exclusive collection of leather shoes. 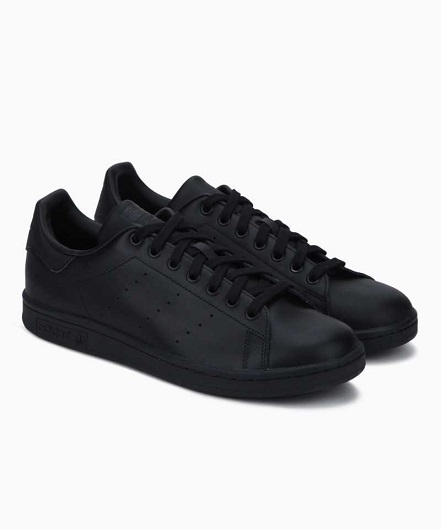 The brand stands for trust and boasts of unique designs, comfort level, and reasonably-priced footwear. Founded over 90 years ago, Adidas is the second largest sportswear manufacturer in the world and one of the top 10 formal shoe brands in India. 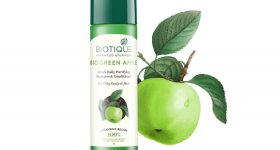 It has been the preferred footwear brand of millions of Indians and has a very strong presence in India as well. The shoes manufactured by this brand are a mix of modern style and comfort and are suitable for all those who embrace the lighthearted spirit of this iconic brand. 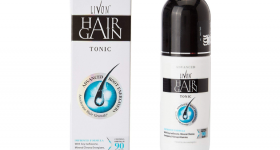 **DISCLAIMER: The mentioned price of the respective product is variable and subject to change.